We are very thankful for awards we have received. 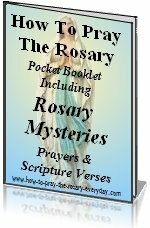 How-to-pray-the-rosary-everyday.com strives to bring people closer to Jesus through the most Holy Rosary. We have been recognized as a very helpful resource for this purpose. We are very grateful that we are able to help people in their spiritual advancement, and then be recognized for it. If you feel our site deserves an award, please feel free to nominate our site or contact us here. Below you will find a decsription of any awards that we have received. Taken from St. Carles Borromeo Website On 19 July 1998, the Saint Charles Borromeo Catholic Church Web Site started an awards program. Below are the awards along with the criteria associated with each award. We take these awards very seriously and, as such, guard them closely. The criteria, although it may appear subjective in some cases, are stated as clearly as possible and will not be compromised. The purpose of the website, the style, layout, content, rate of update, graphics, navigatability, lack of broken/dead links, speed, and imagery are all taken into consideration. 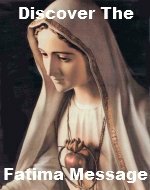 Above all, the web sites must demonstrate complete loyalty to the Magisterium of the Church. While surfing the web, if you notice one of our awards displayed, you know full well that the award was deserved at the time it was awarded. However, we cannot control changes made by any of these sites after being awarded. If the awarded sites are retained in our list of winners, the awarded site has, to the best of our knowledge, remained worthy of the award. 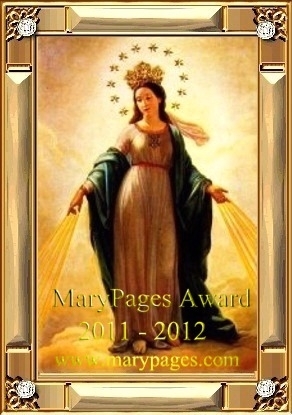 I visited your homepage and like to offer you for your good and beautiful Christian work the Marypages Award 2009-2010.